Playgrounds Etc. offers start-to-finish commercial playground equipment services in Texas. Our experienced designers develop site maps, 3-D renderings, and plans to craft every corner of your outdoor or indoor playground. Enjoy the detailed layout and expert craftsmanship that has made Playgrounds Etc the leader in commercial playground equipment in Texas for more than 17 years. Our knowledgeable consultants will help you determine which pre-designed set is best for your needs. Interested in something custom? We’ve got you covered! We offer custom playground equipment services in Texas, so you can design equipment that’s unique to your school, church, or private organization. Thanks for choosing Playgrounds Etc as your preferred source for commercial playground equipment in Texas! When planning to create a new play area there are many factors to be considered. We know that every playground is different. Every playground has different landscape features such as: size, shape, terrain, drainage, shade, and even climate that can affect the usability of a playground. At Playgrounds Etc, we have the knowledge and experience to help you design and utilize your space in the most efficient manner possible. Since safety is at the forefront of our industry, we strive to go above and beyond to ensure that our playgrounds meet, or exceed, all consumer safety guidelines. We would be happy to visit your site and give suggestions on ways to create a safer play environment. Playgrounds Etc. is proudly in compliance with Consumer Product Safety Guidelines, Americans with Disabilities Act, and Texas Department of Family and Protective Services. The challenge of building a new playground can be a difficult task. Don’t let a limited budget bring you down. We have seen many playgrounds created even when funds seemed nonexistent. Through these experiences we have gained the knowledge of how to raise funds in many different ways. For those of you on defined fixed budgets let one of our consultants create a plan to phase in your new playground. Phasing in involves starting with the core of the playground and each year, or as funding becomes available, adding more. Phasing in gives you the chance to replenish your budget while still giving your kids a great place to play. There are many costs to consider when creating a new play space. Most people only consider the cost of equipment and create their budget around equipment cost alone. Several things to keep in mind when budgeting for a new playground are installation, surfacing, and freight which are all things that can potentially drive up the cost of the project. These costs can seem like a bank breaker, but don’t worry! Our finance program can finance 100% of your dream project with little to no money down. Getting started is as simple as filling out a short credit application, and you will be on your way to designing the play scape of your children’s dreams. When you choose Playgrounds Etc you are also choosing some of the best designers in the industry. Let them facilitate your creativity by custom designing a unit based on your specifications. We can provide you with colorized 3D renderings of your selected play structure in order to help promote your project to your PTA, Board, or Church Leadership. Since nearly every piece of equipment is strategically placed in order to maximize space and safety, we provide computerized site maps to distinguish exactly where each piece of equipment will be placed. A plan view is a site map which gives an exact footprint of each play structure with detailed measurements and descriptions of each component. A plan view is invaluable when installing a playground. Enjoy the peace of mind that comes with having our crew of Certified Playground Safety Inspectors install your new playground equipment. Our professional installers can handle everything from coordinating deliveries and unloading equipment, to the actual installation, and finally, they perform the final playground inspection. Our installers will work directly with your Playgrounds Etc representative to ensure that your equipment ends up in the right place at the right time. We can provide an installation supervisor to direct your volunteers during the playground installation. You provide the tools, material, and labor and allow your supervisor to lead you every step of the way. This is a great way to save money while strengthening ties within your community. We understand that certain grants or organizations will not pay for the installation of playground equipment. For the do it yourselfers out there, you are always welcome to install your new equipment yourself. All equipment comes with explicit instructions, site maps, detailed diagrams, and specialty tool;. and of course, your Playgrounds Etc representative is always there to troubleshoot any installation questions you may come across. Since we serve customers that live several hundred miles away at times, we have become accustomed to effectively solving problems and answering questions through email or over the phone. We are confident that with the right volunteers you can successfully install your new playground. When you choose Playgrounds Etc you are also choosing some of the best playground designers and consultants in the industry. Let us facilitate your creativity by custom designing an indoor or outdoor playground based on your specifications. Our designers are experts on National Safety Standards related to equipment and surfacing, and would love to help you design your play area today. We have been leaders in sales and service for customized playground equipment for more than 12 years. Playgrounds Etc. proudly serves the people of Texas and New Mexico and are currently working to expand even further. Everyone at Playgrounds Etc. understands that our success has been built on, and depends upon, satisfied customers. 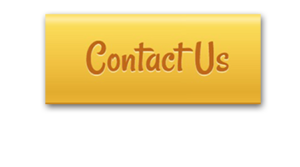 Contact us today and set up an appointment with one of our playground consultants!